RonDoids: Want a Health Tip? What really happens to your body when you drink wine every night? We all have that friend who is obsessed with wine — the one who can actually taste notes of blackberry and oat while we're proud of ourselves for recognizing that it's a cabernet. Well, it turns out your wine snob friend may be on to something. Wine has long been thought to be beneficial for our health, so long as it's consumed in moderation. Usually red wine gets all the attention, but a study in the Journal of Agricultural and Food Chemistry found that white wine may have the same health benefits. Dating back to 6,000 BC, humans have always loved their wine. Back then it was reserved for aristocrats and clergy, but these days anyone can enjoy a nice glass of two buck chuck. Ancient Egyptians used wine as medicine, and they may have been way ahead of their time. Red wine may actually protect against heart disease. Scientists believe the antioxidants found in red wine help prevent cholesterol buildup in our arteries. It's this cholesterol buildup that can lead to heart disease. However, don't expect a prescription for cabernet any time soon. Doctors are not ready to actually recommend alcohol, especially if alcoholism runs in your family. But if you usually enjoy a glass of wine after winding down from a long day, get ready for some serious health benefits. Everything from dementia to sunburn can be prevented with your nightly glass. Read on for some of the craziest reasons to pop that cork tonight. Enjoying a nightly glass of wine may lead to a longer life. Regular wine drinkers have a 34 percent lower rate of mortality than their beer or liquor-drinking buds. And if you're living longer, you may as well look younger while you're at it, right? You can thank the researchers at Harvard Medical School for this one. The compound resveratrol, which is found in red wine, has been linked to having anti-aging properties. If you're not a wine drinker, you can still reap the benefits. In addition to finding this compound in red wine, you can also get it from eating grapes, blueberries, cranberries, and nuts. Resveratrol activates an anti-aging pathway in the body that leads to a longer lifespan, so drink up! However, this link is only found in moderate drinkers, so regularly drinking an entire bottle by yourself will undoubtedly make you look older, not younger. Here's another way your glass of wine can make you look younger. It protects your skin from the sun! A Spanish study in The Journal of Agricultural Food and Chemistry found that the antioxidants in wine can protect our skin from sunburn. When our skin is exposed to harmful UV rays, it sets off a chemical reaction in the body. This chemical reaction causes skin cells to become damaged and burned. Flavonoids, antioxidants found in grapes, can stop the chemical process that kills skin cells and leads to sunburn. So next time you and your friends are enjoying margaritas on the beach, reach for a nice red wine instead. Red wine has long been thought to protect our hearts. Red wine contains tannins, which have procyanidins that protect against heart disease. Tannins are the compounds in wine that are responsible for that dry taste. To get the most procyanidin bang for your buck, stick with wines from southwest France. These antioxidants in wine have been proven to raise our HDL cholesterol. This is the good cholesterol, so we want that number to be high. If you have high blood pressure, a nightly glass of wine may be just what the doctor ordered. Of those dealing with high blood pressure, it's the moderate drinkers who are 30 percent less likely to suffer a heart attack than those who don't drink at all. If you've been having trouble managing your diabetes, relaxing with a glass of wine could actually help. A nightly glass of wine could even prevent the condition. Studies show that moderate drinkers have a 30 percent lower chance of developing type 2 diabetes. Having a nightly glass of red wine is also safe for most diabetics. Just make sure not to exceed that limit. Less is more when it comes to wine as medicine. Wine isn't just helpful because it prevents diabetes. It could also prevent some of its complications. People with type 2 diabetes are more likely to develop heart disease than the general population. In a study in the Annals of Internal Medicine, researchers asked a group of patients with type 2 diabetes to enjoy a glass of water, red wine, or white wine at dinner every night. Study participants were screened and deemed to be at low risk for alcohol abuse. These study participants also followed a Mediterranean diet for the two-year study. At the end of the study, the wine drinkers had increased levels of HDL (good) cholesterol and better quality of sleep than the water drinkers. Researchers did not find any downsides to moderate wine drinking. We all tend to feel a little more relaxed after a glass of wine. The stresses of the day melt away as we sit at dinner with our friends and family, enjoying good conversation and great wine. It turns out those good feelings last way beyond dinner. According to a study in BMC Medicine, moderate wine drinking may be protective against depression. Drinking two to seven glasses of wine per week (no, not per day, sorry ladies) is associated with lower rates of depression. However, once your drinking goes from moderate to too much, the chances of feeling depressed also go up. Heavy drinking is associated with high rates of depression. Keep the good vibes flowing with a few glasses of wine per week. We've all heard the research about red wine and heart disease prevention, but the cancer news is pretty exciting, too. Regular drinking usually puts us at a higher risk for cancer, but there's one exception to that rule: red wine. Moderate red wine drinking has been linked to lower rates of breast cancer. The chemicals found in the skins of red grapes have been found to reduce estrogen levels and increase testosterone levels in premenopausal women. It's this shift in hormones that can lower the risk for breast cancer. These magic little red wine chemicals are much higher in red grapes than in green. So if you like to enjoy a cocktail with dinner, grab a bottle of pinot noir instead. 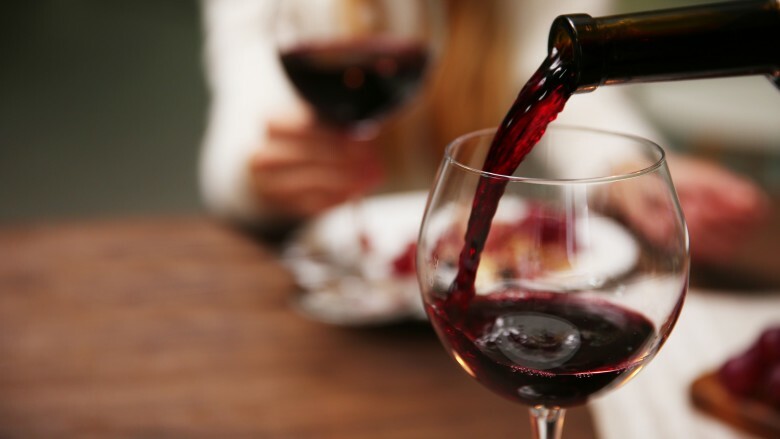 "If you were to have a glass of wine with dinner, you may want to consider a glass of red," says study author Chrisandra Shufelt, MD, assistant director of the Women's Heart Center at the Cedars-Sinai Heart Institute. "Switching may shift your risk." Too many glasses of wine can leave your brain feeling a little fuzzy, but one with dinner is just right. Having that nightly wine may even protect your brain from a blood clot or bleed. People who drink one or two drinks per night have an eight percent lower risk of having a stroke. However, don't go crazy. Heavy drinkers, having at least four drinks per night, have a 14 percent increased risk of stroke than those who don't drink or only drink occasionally. A glass of red wine with dinner may also put you at lower risk for dementia. Moderate red wine drinkers have a 23 percent lower risk of developing dementia than those who don't drink. However, none of these findings should ever suggest that you have to drink wine in order to be healthy. 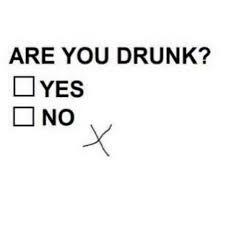 "We don't recommend that nondrinkers start drinking," Professor Edward J. Neafsey told Medical Times Today. "But moderate drinking, if it is truly moderate, can be beneficial." So next time your mother-in-law raises an eyebrow as you help yourself to a glass of wine while holding the baby in the other hand, just brush it off. You're working on your brain health! One of the reasons why red wine may be so beneficial for our hearts is because it decreases inflammation. It's inflammation of the heart muscle that can lead to big problems such as a heart attack. Red wine contains the key ingredient resveratrol. This compound helps prevent damage to blood vessels and prevents blood clots. According to the Mayo Clinic, it may also be helpful with lowering our risk for inflammation. Resveratrol comes from the skin of the grapes used to make wine. So if you'd like to get the benefits without the alcohol, having a bowl of grapes will do the trick. Peanuts, blueberries, and cranberries are also contain the heart-healthy ingredient. Unfortunately, in addition to wrinkles and reading glasses, older adults have another bummer to consider. All of those benefits from red wine don't help the elderly. In fact, even just one glass per day can be damaging. Research has found that elderly women (average age of 76) who have one glass of wine per day show small reductions in heart function. This is due to the increased size of the wall of one of the heart chambers. It looks like women are more susceptible to the downsides of drinking than men. Older men who have more than 14 drinks per week have the same heart findings. Study author Dr. Scott Solomon told the Telegraph, "Women appear more susceptible than men to the cardiotoxic effects of alcohol, which might potentially contribute to a higher risk of alcoholic cardiomyopathy, for any given level of alcohol intake." So we know moderate drinking is okay, but what exactly constitutes as moderate? For women, than means up to one drink per day (which is equal to five ounces of wine). Men can get away with two per day, unless they're over 65. All older adults should limit their drinking to one drink per day, regardless of gender. And women over 65 should consider even less than that. While a nightly glass of red wine certainly seems like it could be part of a healthy lifestyle, don't feel like you have to drink everyday. Both the American Heart Association and the National Heart, Lung, and Blood Institute do not recommend drinking solely for heart health. Always remember that alcohol can be addictive, and drinking too much leads to major health problems. Alcohol abuse leads to liver and pancreatic diseases, heart disease, some cancers, stroke, obesity, and accidents or violence. If alcoholism runs in your family or you've ever had an addiction, steer clear of the wine.